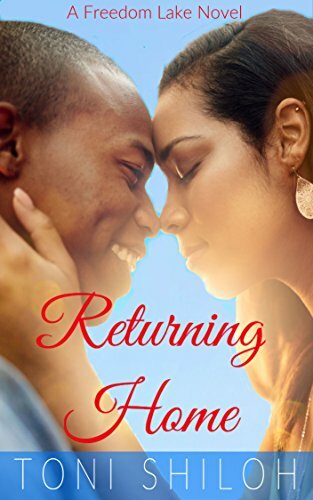 Sit awhile a read my interview with Toni Shiloh author of Returning Home. You'll be sure to learn some things you didn't know before! Today I’m kicking off the week with an interview with the lovely Lisa J. Flickinger. 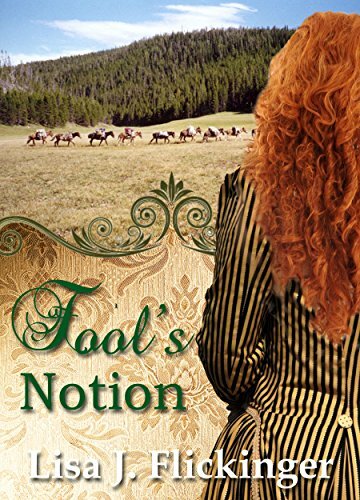 She’s stopped by to talk about her historical novel, Fool’s Notion? Have you read it? If not, now’s a good time to learn more. Grab a cup of tea (or coffee) and meet Lisa! Toni: Welcome, Lisa! Thank you for stopping by Soulfully Romantic today. It seems Fool’s Notion is ripe with romance! Where did you get the idea for this story? Lisa: When I was in grade four, my family drove eighteen hundred miles to California. We visited Knott’s Berry Farm and one of their displays was an interactive map of the Oregon Trail. I was fascinated by the miniature covered wagons (I have one in my TV room). From then on, I loved the idea of pioneering. As an author, the idea of a young woman making her way across the country was too hard to resist. Toni: I used to love the Oregon Trail video game. This takes place along the Missouri River. How did you do research for this historical time frame? Lisa: I immersed myself in the 1880’s by reading women’s diaries, studying historical books, contacting libraries about the time period, and watching applicable movies. Toni: Diaries?! That had to be interesting. Okay, mules are a focus in this book. Have you ever ridden one? Petted one? Owned one?! Lisa: I’ve petted quite a few as our former neighbors raised prize winning mules. My own brief stint as a cowgirl ended when I was trampled by my horse and suffered a broken shoulder blade. During the writing of Fool’s Notion, I shared pots of tea with and interviewed the owners of Windy Ridge Farms to learn the nuances of mule’s behavior. Toni: Ouch! What are three elements that are always present in your writing and why? Lisa: Good question! I like to put an element of hope in our Lord in every novel so the reader has something they can take away for their “real lives”. Humor to lighten up difficult issues has also become more important in my writing. A gorgeous guy! Who doesn’t’ need more of those in their life? Lisa: Black Lab – the most loyal pet ever. Toni: Aww, labs are adorable! Body of water? Lisa: Gull Lake – a beautiful lake we love to fish on. Lisa: Legends of the Fall – I think I need to watch it again. Toni: I don’t think I’ve seen it. Era? Lisa: The late eighteen hundreds – if only I could go back in time. Toni: And last but not least, what are you currently working on? Lisa: I’m currently working on a story set in a late eighteen hundreds (of course) about a logging camp and a young woman named Isabelle who’s struggling with the after affects of a violent incident. She forms a friendship with a new-to–the-faith logger who is struggling with his own secrets from the past. 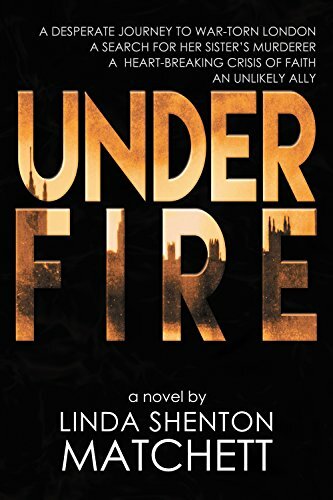 Linda Shenton Matchett, author of the new release Under Fire, spent some time sitting on the porch with me for an author interview. Come and join us! Linda: Thanks for joining me today. Your latest book, Fool’s Notion is a story of a woman on the Oregon/California Trail with a pack string of mules. What made you decide to write this story? Lisa: When I was eight years old, my family went on vacation to California and visited Knott’s Berry Farm. I remember vividly a miniature display of covered wagons on the Oregon Trail. At that moment I fell in love with the idea of pioneering. LM: How did you decide which time period to set Fool’s Notion in? Lisa: I use Borax detergent for “keeping my whites white” and there is a picture of a mule team on the box. When I researched the Borax “rush” I discovered it began in 1882. I picked 1883 as the year for my heroine, Alda, to have a reason to cross the country with her mules. LM: Fascinating! I love hearing about those kinds of serendipitous inspirations. What do you do to prepare yourself for writing? For example do you listen to music or set up in a specific place? LM: Writers are often people who grew up as voracious readers. Who was your favorite author when you were a child? LM: Yep - those were some of my favorites too! So, you live in a gorgeous area of the world, one many people would visit on holiday. If money were no object, what is your idea of the ultimate vacation? Lisa: I have traveled to quite a few beautiful places in the world like Thailand, Philippines, Italy, and Switzerland, but my current wish list is to visit Ireland and Scotland. I would love to take a car tour and stay at B&B’s so we could stop and take in any sight we wished to. Lisa: Hmmm, quirky. Perhaps think I could write a novel. Seriously though, I once washed the feet of street people in the Philippines on a downtown boulevard with a mission team. It was one of the most beautiful experiences of my life. Lisa: I’m writing a story of a young woman with a secret child in the late 1800’s who’s living in a rough and tumble logging town along the Rockies. She meets a new pastor with his own secrets and the two of them attempt to form a relationship under difficult circumstances. LM: Thanks so much for stopping by! Lisa: Thanks for letting me join you! Much Ado About ... Something! "A story of a daughter finding love from the father above, it's a must read story for historical lovers. I couldn't put it down and read it straight thru, I found another new author and will read her other books." Alda had struck out on her own to drive the team over fifteen hundred miles. By day three, her lead mule Bessie had refused to take one more step. It was a good thing the handsome cowboy Cord had stopped by to lend a hand or Alda might still be sitting in the dust. Now the man needed to move on so she could continue her journey. Judging by the spark in Cord’s eye … it just might take some convincing. Let me know if you would like a soft cover copy. The cost will be $20.00 including shipping. Thanks so much for your support and interest in my writing! Fool’s Notion cover reveal! After much deliberation in choosing and then sending back and forth with the publisher, (who did a great job, thank you Cynthia) I’m pleased to present the cover for my upcoming novel Fool’s Notion. What do you think? If you remember, one of my readers, Jodi, won the opportunity to choose a name for my next novel. She chose the name Cordell Sweet for a buff, military type who was the hero in the novel I was writing at the time. I abandoned (for now) that project and began Fool’s Notion on the inspiration of a story someone told me several years ago and the Borax detergent box found in my laundry room. Cordell Sweet worked perfectly for the handsome cowboy with long, smoky lashes who helps the heroine Alda — whether she wants him too, or not. Thanks Jodi! I’m still working on the edits, but the eBook will probably release this week and then I’ll be working toward getting the paperbacks printed. Such a learning curve! Well done Sadie and Sophie! I loved the unique way the Cuffe sisters wove the tale of Hansel and Gretel through an 1880’s frontier town. Dear, plump Gretel, an avid baker, finds herself ousted from her brother’s affections by his newly betrothed. The miserable woman’s plans for the siblings jointly owned bakery include giving Gretel away in marriage as a prize for a town sporting event. We commiserate with Gretel as she must explore the depths of her brother Hansel’s betrayal in agreeing with his intended’s plans. Gretel’s soul searching also stirs up the siblings’ mystical past and causes Gretel and her brother to face questions they have tried to ignore for years. Were they abandoned by their father and step mother? Were they really held captive by an evil witch who lived in a delicious cottage in the woods? Further complicating matters for Gretel, a strapping young man, Jake Wilde, has fallen for her … and her delicious baking. Jake’s persistent in his understanding and kindness toward poor, wounded Gretel. I found myself rooting for Jake and his pursuit of true love and yet anxious about how the future would unfold for Gretel. The story is written in first person, which is hard to do well, yet the authors accomplished it. The smattering of time-period words along with a lexicon makes the tale realistic and engaging. I will be reading more of the Cuffe sisters’ work in the future! Birds and Breadcrumbs, along with my novella, Ella, and four other fairytale redo’s are available for the great price of only $5.15 on Amazon. I’m pleased to announce the Love Everlasting series from Forget Me Not Romances (of which my novella Ella is a part) has been released. Six fairytale redos for only $5.15! I just picked up my copy (I read them on my computer) and will let you know what I think over the coming weeks. Tragedy can bring them together or tear them apart…..
Charity Watson lost her mother at an early age. Growing up in Boston with only her father, servants, and maid, Eliza, she learned how to take care of a house, cook, and clean. When tragedy strikes and she is left an orphan, she must flee the only home she’d ever known in order to save her own life and live with Eliza’s six sisters in Hope, Montana. Will she flee danger and be free to live life as she once knew or will danger catch up to her? Rhett Lincoln loved Montana and everything his father left him on the biggest ranch in Hope, Montana. Upon returning home, he finds the one person he loves the most on the brink of death. His life turns upside down until he realizes his need for a wife. Will he find love in Hope, Montana? Hansel and Gretel Sweetser live a happy life, except for that unfortunate time of incarceration and near-ingestion in the witch’s gingerbread house. But that was twenty years ago, and no one believes them anyway. If you’ve ever wondered what happened to that little boy and girl after the gingerbread house encounter, here’s what you’ve been missing. Birds and Bread Crumbs is the “rest of the story”—a grown-up Midwestern American fairy tale with just enough magic to make you believe in happily-ever-after again. At last, the much anticipated 50th book by Darlene Franklin! Noble Prescott is drawn to the scene of a shipwreck by a sweet song sung in a language he didn’t understand. The songstress is barely alive, holding onto a piece of the ship’s railing. Her dress wraps around her legs like a mermaid’s tail. How will Justine and Noble overcome the evil woman’s schemes to find their own love everlasting? Ella Goodwin, abandoned by her father and abused by her stepsister, seeks to make sense of her new life as a prisoner in her own home. Squirreled away in the attic, she sews a magnificent gown. All hopes of attending the masked ball are dashed when she’s discovered and her gown is stolen. Chaos and confusion ensue as Thomas Bailey attempts to extricate himself from the clutches of an obnoxious stepsister. Will he unravel the mystery and learn the true identity of the beautiful woman who has captured his heart? When scar faced, Griffin catches an old miner stealing from his store, he insists the man work off the debt. However, when the man gets too sick to work, Griffin sends for Izzy, whom Griffin thinks is the old man’s wife. When the girl turns out to be the man’s beautiful and kind daughter, Griffin finds himself torn between continuing to wear the façade of a beast, or lowering his defenses and allowing Izzy’s beauty to soften his soul. Can this beauty and this beast find love? Elenora Caldwell and Trevor Davenport had been thrown together since they were children. As the years passed, a deep friendship developed. Heirs to their respective family fortunes, they attempt to find where they fit into life’s grand puzzle. When Elenora’s father dismisses a man from his employ, the man threatens to seek revenge. Charmed and fascinated by a new magician who studied under the Great Houdini, Elenora sneaks out to attend a performance, but ends up a pawn in a vile scheme by the magician to take control of Caldwell Enterprises. In order to save Elenora, Trevor must first defeat Cravatta. How can he match wits with a master illusionist? And could his reunion with Elenora be the key to a brand new life? We are most likely fishing and I just caught a whopper of a 10oz. perch. If it’s any bigger, I run to the other end of the boat screaming and hand the fishing rod over without polite conversation. Secretly, I think Matt loves the drama. I have tried to stay calm when something is on my line, so far, I have been unsuccessful. And what’s not to love about the camaraderie of facing white caps on Buck Lake or lightening on Crimson Lake. Why would we resist the adrenaline pumping thrill of pounding hail as we work together to put the cover back on the boat. Why would we choose to miss the intimacy of shared lunches, while wearing wet clothes, in the cab of the truck? The adventures of fishing bring a smile to both our lips and corny jokes from Matt’s. It makes us feel more alive, even if the fish aren’t. And the feeling of closeness lasts well into the week. Who needs marriage therapy when you can go fishing? Are you in need of a marriage tune-up? Feel free to tag along. The official word from my surgeon is … no sign of the titanium clip. So where did it go? During a needle biopsy for my breast, a clip was inserted and left as an indicator in case the doctors needed to return to that location. The biopsy tissue showed some, but not all, of the indicators for cancer so return they did. Things get a little murky from here on. After a lumpectomy, analysis of the tissue revealed no cancer but also no sign of the previous biopsy (including the clip). At this point, the surgeon was as confused as I was, and he ordered another mammogram. The mammogram revealed no clip as well. It’s anyone’s guess as to what happened to it. Good news is … no current sign of cancer. Puzzling news … I may or may not have had cancer. Even more puzzling … what happened to the clip and the original biopsy site? Do you ever feel like giving yourself a report card with a big F for fail on it? Over the last six months of dealing with this health issue, I wanted neat and tidy packages with clear problems and clear solutions. I didn’t get either. I was frustrated and stressed out by my lack of control and at times I let the circumstances overwhelm me. Was it the right thing to do? No. Does the Lord have mercy for all of us whose report cards read F? Yes, He does. Two Minutes? I have two minutes, and that’s all it takes to remove fifty-one years of child, marriage, job, stress ... induced wrinkles! You can tell by the results; the faces look pathetic in the before pictures and amazing in the after pictures! And the wrinkle-free me will last for up to nine hours. If I hide out until noon, and watch TV after nine pm, I’ll look fabulous and I won’t be wasting any of my miracle cream! The best part is I only have to pay $5.99 for the sample! My friend took them up on their amazing Facebook offer and counted down the days to the arrival of her packages. Yes, packages. What could possibly be better than a sample of an amazing serum? Two samples of amazing serums. She could compare the results and decide exactly how young she wished to look. Perhaps she could even double up and look like a new born babe. The first box arrived, no company logo, no packing slip, and no paperwork for re-ordering. The one ounce container was plain for such huge promises, but miracles can be found in the most unexpected places. And don’t forget, it came with eye cream promising to remove every bit of darkness and puffiness known to man or woman! The second box arrived, same thing, boring containers and no contact information. My friend was undeterred, new skin awaited! Undeterred, that is, until she received her credit card bills. Apparently, in the fine print the ad says the sample costs only $5.99 if you return it within fourteen days (less the eight days it took to arrive, giving you six days to return the sample.) If not, the cost of your sample is a mere $350.00. And out of the kindness of their hearts, the company will send you a new sample every thirty days for another $350.00. My friend now owed $700.00 dollars to the first company and $400.00 dollars to the second one. Yikes! Thankfully, contact numbers were listed on her credit card bills and she could cancel both automatic orders. The first credit card company considered the $700.00 dollars a fraudulent sale and insured it; however, the second credit card company considered the sale, although unethical, valid and she was stuck with the $400.00 charge. I must admit, I was tempted to sign up for my own free sample when I saw the remarkable results while researching for this post. My friend says the cream doesn’t work – not for a minute let alone nine hours. I guess I’m stuck with my wrinkles, but at least they're free! If you happen to see me along River Road, bent over, heaving, and clutching my calf muscle, feel free to wave and pass on by. I am in no danger, and Matt is a half block ahead of me ready to come to the rescue. Apparently, one can’t put up their feet for six months, while eating chocolate and chips, without getting even more out of shape than they were before the said lack of activity. Anyone else starting a new exercise program so they can be bathing suit ready by June 30th? Our current exercise of tor — choice is called Power Walking, Speed Walking, or sometimes Race Walking. From my perspective it should be called Every Muscle Screaming “Stop! You’re Killing Me,” Walking. What’s not to love about those? In the back of the book there are calendars for working your way up to your goals, from beginner (4 miles a week) to extreme (42 miles a week!) We are on the minutes-per-week calendar and so far haven’t surpassed twenty minutes of Power Walking at one time. It might have something to do with the week-long breaks of no-walking-at-all we’ve been taking in between. Don’t worry, you don’t have to buy a book to begin Power Walking; although it makes a great coffee table addition or conversation starter. There’s lots of info and technique advice available on the net. I’ll let you know how our progress goes; so far, Matt down four pounds and Lisa up two. What are you doing to get in shape this summer? Thanks so much, everyone, for your help in getting the word out about Ella. It hit the Number 1 Christian Historical Fiction spot a couple of times on the weekend thanks to you! If you’ve read it already, I’d like to hear what you think. Send me a message with your opinion of Ella, good or bad; all of your ideas will help my writing in the future. I found writing to a prescribed plot line (Cinderella) more difficult than I thought it would be. My source was a copy of the original fairytale written by a French author Charles Perrault in the seventeenth century. The original is a bizarre tale involving talking birds, bleeding feet, and eye pecking. I chose to go with a tamer yet melodramatic version of events and had to keep bringing myself back to the original story line when my imagination wanted to take flight. You have to keep a small cast of characters and a limited plot line in a novella. You also should keep descriptions to a minimum. I found not developing sub plots to be somewhat hampering yet at the same time I didn't get bogged down in the scenes. Including editing, it took two months to write and that’s only the beginning. Today’s author has to be involved in the marketing as well. The more I write and interact with the publishing world, the more I learn. When I finished the edits to Ella last week, I took a sigh of relief and thought I could have a bit of a break. Not so. Apparently, if a book is only going to be published as an eBook there is little down time between the submission to your publisher and the book going live. 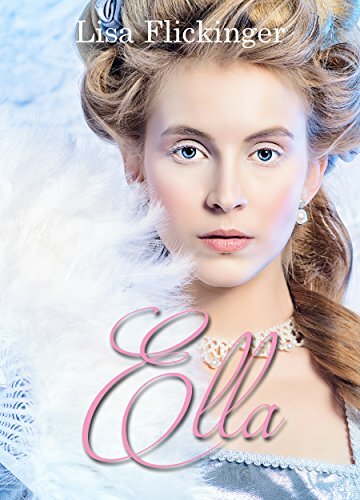 Ella will be a standalone novella until late summer and then added to the other Penny Princesses for an eBook boxed set. Please buy Ella, read Ella, and review Ella! Did you know you can’t even buy most book advertising until you have acquired 5 – 10 good reviews? If you load this link to Facebook http://amzn.to/2rgJbWx and then add a space, (wait a couple of seconds) it will load up a direct link to Amazon and then you can back space the link details away. If you share it more than once it’s even better! I found it oddly comforting to know I wasn’t alone (fear #1) in my phobia of a specific object (fear #4). My name is Lisa and I’m afraid of birds. It’s an irrational fear I can’t control and sends me hiding for cover if they fly to close overhead(within thirty feet) or I can’t avoid interaction with them. The condition has caused me embarrassment a couple of times most notably on a visit to a hummingbird sanctuary in Costa Rica. The birds were beautiful and plentiful; however the enjoyment was hampered by my crouching on the wooden planks, wrapping my arms around Matt’s calf and whimpering. He talked me into the gift shop and I fortified myself with a stiff coffee for the return to the vehicle. My ornithophobia reared its feathered head last week in the middle of the night. Matt was working, so I had to endure the owl outside my bedroom window all alone. The unreasonable creature who, whooed, on the deck railing until I became a shivering ball of nerves under my blankets. I’m almost certain it meant to murder me and cough up pellets of my hair and teeth in the forest behind our home. Have a wonderful fear free week! I’m not sure who felt worse during my consultation with the surgeon - him or me. The report looked good “no indications of ductal or invasive cancer present in tissue samples” until you arrived at the last line “no apparent sign of a previous biopsy within the samples.” What? How could this even be possible? I’d gone through the painful process of having a wire inserted into my breast and down to a clip left behind during the needle biopsy, a clip which was to indicate where the tissue should be removed from. The surgeon was to follow the wire down to the clip. It shouldn’t have been a problem considering he took two “aggressive” samples of tissue based on imaging which indicated the clip had migrated. But although he followed the wire, the two “aggressive” samples were not from the right part of my breast. I’m not comforted by the idea it happens in less than five percent of surgeries. And, yes, I can see room for error when you wait seven hours for surgery with the said “wire” sticking out of your chest. But where do I go from here? Wait another month, more testing, another decision. Cast – to throw upon The word was used by the Greeks to refer to a heavy pack being thrown or rolled onto the back of a camel. At first glance, my gardens look depressing. The jumbled mixture of last year’s stems turned a blackish brown and piles of rotten leaves are not enhanced by the garbage that winter collected and stored amongst them. I knew when I neglected the gardens last fall, spring wouldn’t be pretty. However, if you look closely, you’ll see the promise of new life, new life which will turn to slender green leaves and delicate lilies or any number of breathtaking flowers. Spring carries with it Easter, and Easter can remind us of another bleak view offering the promise of renewal. After His bloody crucifixion, Jesus lay in the tomb for three days; cold, dead, not pretty. The miracle of His resurrection from the dead brought humankind the possibility of new life, and not only new life, but renewal for the old sticks, rotten leaves, and garbage we’ve left in our lives. My friend Jim hails from the days of explorers when men (and women) paddled thousands of miles downriver and portaged hundreds of miles through dense woods. Although over seventy, he loves to back country ski on high mountain ridges and in remote alpine meadows. A few weeks ago, before another back county skiing adventure, he encountered an individual, and his car, stuck at the staging area of an isolated ski trek. The fellow appeared ill prepared to extricate his vehicle from the heavy snow and Jim, noticing the fellow’s um … ineptness, offered to help. Through the push and pull of the extraction, Jim learned the fellow was a visitor from Russia doing research in Canada. Concerned for the man’s safety, and because he’s a nice guy, Jim invited the fellow to ski with him. They spent the day traversing trails and exchanging histories where Jim learned the man was not only a researcher but a highly degreed scientist. Further investigation after Jim returned home (thank you Google) revealed a list of the man’s credentials and the fact the renowned expert was within a “hair’s breadth” of finding a cure for … cancer. Thanks for keeping him safe, Jim!